With the DUKE you will only hear the monitor and music thanks to the friction-based braking regulation system. 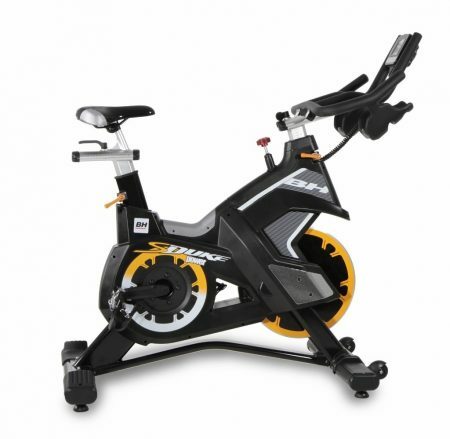 Its powerful 20 kg flywheel and smooth transmission through a Poly-V belt provide the user with the most authentic feeling in an indoor cycling session. 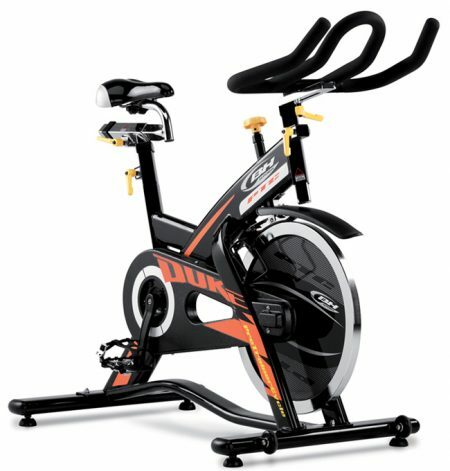 The DUKE MAG indoor bike meets the needs of the most demanding user. 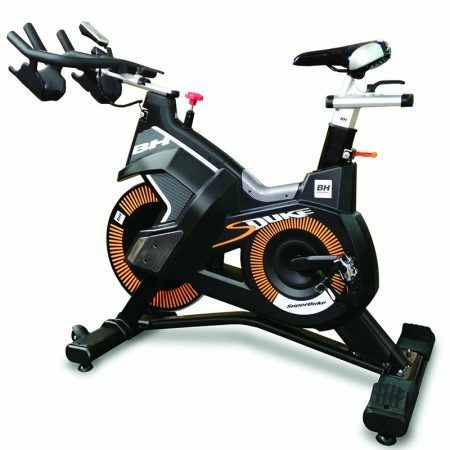 The attention to detail, meticulous design and innovative magnetic brake system will totally revolutionise indoor cycling classes at your gym and awaken the interest of new users. BH has developed a magnetic brake system which will change and revolutionise cycling sensations so that users can enjoy their classes to the utmost as a sensuous experience. 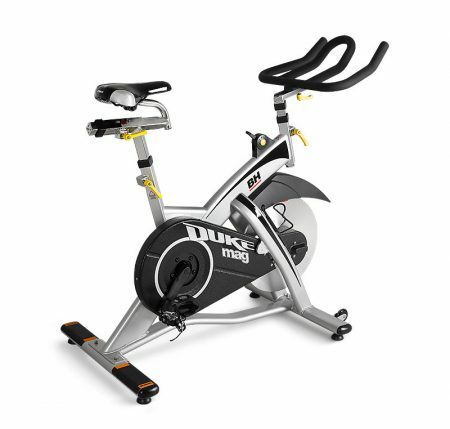 The DUKE MAGNETIC indoor bike meets the needs of the most demanding user. It is BH's latest creation in the sphere of ? 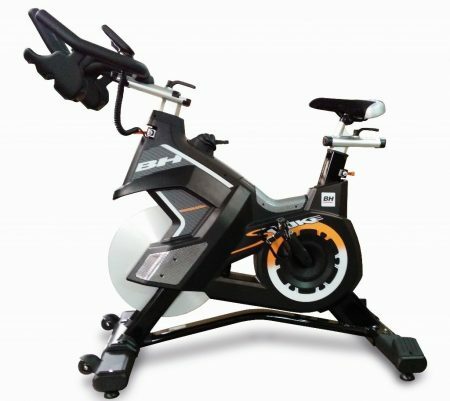 ?professional indoor cycling and is the result of integration of the latest technologies and design expertise providing the best bio-mechanics for cardiovascular training. 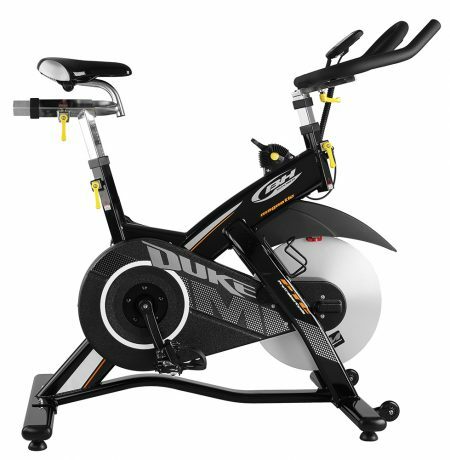 The attention to detail, meticulous design and innovative magnetic brake system will totally revolutionise indoor cycling classes at your gym and awaken the interest of new users. BH has developed a magnetic brake system which will change and revolutionise cycling sensations so that users can enjoy their classes to the utmost as a sensuous experience. 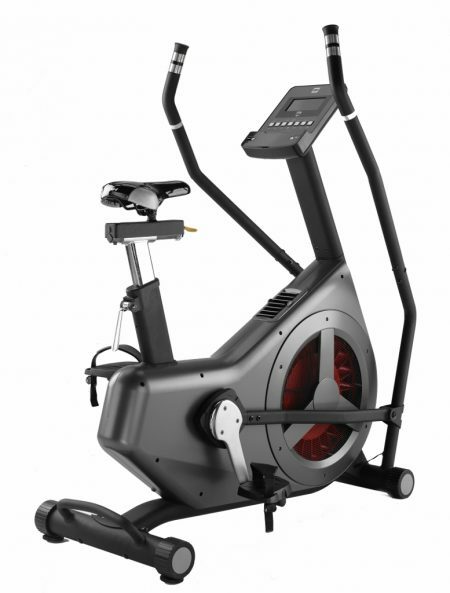 Features Friction brake system with intensity, switch and quick emergency brake LCD monitor very easy to use, offering lectures of RPM, time, calories, distance and pulse. Special painting treatment for corrosion resistance done by the industrial process called electrophoretic deposition which provides the best treatment of the market for corrosion and rust resistance. Infinite multi-grip triathlon type handlebar, adjustable in heigth, vertically and horizontally. Continuous and flexible micro-adjustable saddle. Adjustable vertically and horizontally with infinite positions for the training. Feet with adjustable supports for stretching in the front and rear supports, ensures the maximum stability and help the stretching.